To download a pdf version of the full 2018 Algeria country profile, click here. The World Bank anticipates improved growth prospects for the country in 2018 as the government implements new public investments. This is however threatened by the limitation of oil prices on the real sector, thus giving rise to the country experiencing fluctuating economic growth rates over the past decade. Housing is a key priority for many Algerians and it is a tenet that can be used to solve many social and economic issues. The government reactivated the Promotional Housing Helped (LPA) programme in September 2017. This project is tailored for middle income households and it involves the construction of new housing by a private developer. The growth of the formal real estate market has been restricted by the limited availability of land. Furthermore, low housing supply has resulted in the increase of prices (which have exceeded the affordability of threshold of many households). This increase of housing prices has induced the growth of the rental market. State interventions have attempted to increase the supply of land by offering a tax rebate if the land is sold for housing. It is argued that this measure has benefited high income groups, neglecting a significant portion of households who rely on public housing programmes to access housing. Although there is an existing deeds registry, the country’s land registration system is often cumbersome and unclear. Government identified housing as a key priority but there have been challenges that have become impediments to reaching these deliverables, these include: the mismanagement of housing allocation procedures and limited access to funding. Housing finance in Algeria is an underdeveloped sector. However, the sector will soon face restructuring through the introduction of the Housing Bank and banks will be recognised as mortgage providers (reducing barriers that limit access to finance). Housing affordability is a critical issue in the country and a lack of access to affordable housing results in social unrest. Despite the attempts of policy shifts to encourage the development of low-cost rental and subsidised housing units, the government has failed to meet the housing demand. A shift in changing the lens that is used to unpack challenges faced in the housing sector is necessary, intended private development ownership programmes that will be financed through long-term mortgage ownership may encourage an increase in housing supply. 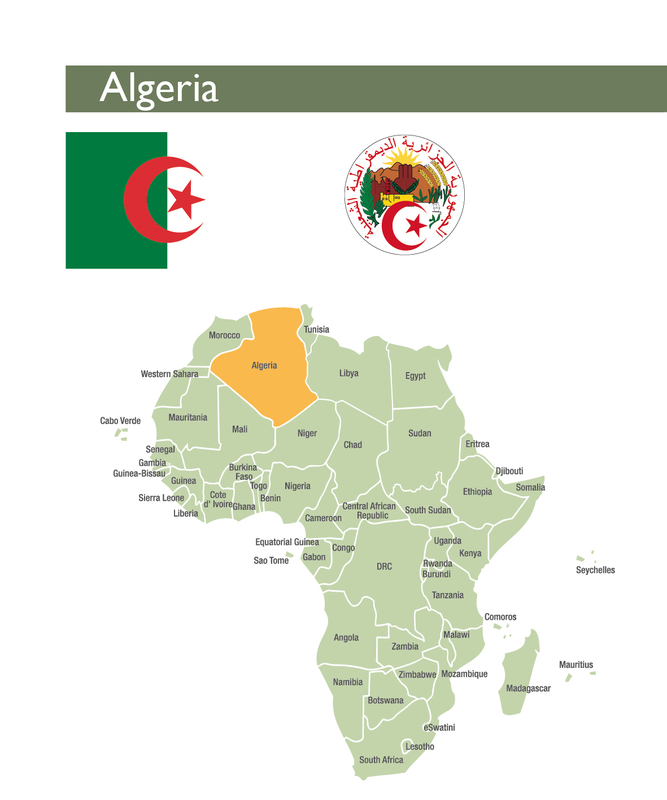 With a population of 42 million living on 2 381 000 km2, the People’s Democratic Republic of Algeria is the largest country in Africa. In 2018, the urban population is estimated at 71.8 percent while the population growth rate stands at 1.67 percent, a slight decrease from 1.84 percent and 1.75 percent in 2016 and 2017 respectively. The country has experienced fluctuating economic growth rates over the past decade. The average annual GP growth rate from 2007 to 2017 was 3 percent. The peak was achieved in 2014 at 3.8 percent. This was followed by a sharp decrease in economic growth to 2.1 percent in 2017. The World Bank forecasts improved growth prospects for Algeria in 2018 as the government implements new public investments. However, despite this improvement, economic growth is expected to fall short of the 2 percent threshold for 2019/2020. This is due to the limited impact of oil prices on the real sector with price fluctuations in oil prices mostly impacting on public and external accounts. Despite this outlook, the 2017 Finance Law banks on a 3.9 percent growth rate with increased taxation to compensate for the shortfall in oil and gas revenues. GNI per capita has risen steadily since 2000, reaching a peak of DZD604 097 (US$5 520) in 2013. However, this fell to DZD532 962 (US$4 870) in 2015, and dropped further to DZD465 211 (US$3 960) in 2017 due to low oil prices. Inflation decreased to 5.5 percent in 2017 from an annual average of 6.4 percent in 2016. With a two thirds share of public revenues and 95 percent of export earnings, the petroleum industry plays a pivotal role in Algeria’s economy. Global oil prices have increased in 2017, improving the country’s fiscal and external balances. Prior to 2017, government’s current account deficit had grown from 4.3 percent of GDP in 2014 to 16.4 percent of GDP in 2016. However the current account deficit decreased to an estimated 9.8 percent of GDP in 2017. The 2018 projections are showing an expected deficit of 5.6 percent of GDP. The government’s budget is expected to improve as a result of fiscal consolidation although there are growing seigniorage concerns. Algeria’s fiscal deficit doubled from 7 percent of GDP in 2015 to 15 percent of GDP in 2016. Tight control of overspending will hopefully see the fiscal deficit decline to less than a projected 5 percent in 2017 and under 1 percent by 2019. Despite these positive developments, government reserves continue to decrease: DZD10 572 billion (US$90 billion) in May 2018, and expected to drop to DZD9 985. billion (US$85 billion) by the end of 2018. Overall, government’s fiscal consolidation comes with significant trade-offs in the economy. In the real sector, government has reduced its spending on equipment by approximately 28 percent, while some capital projects which were approved in the 2014-2019 budget have now been halted. 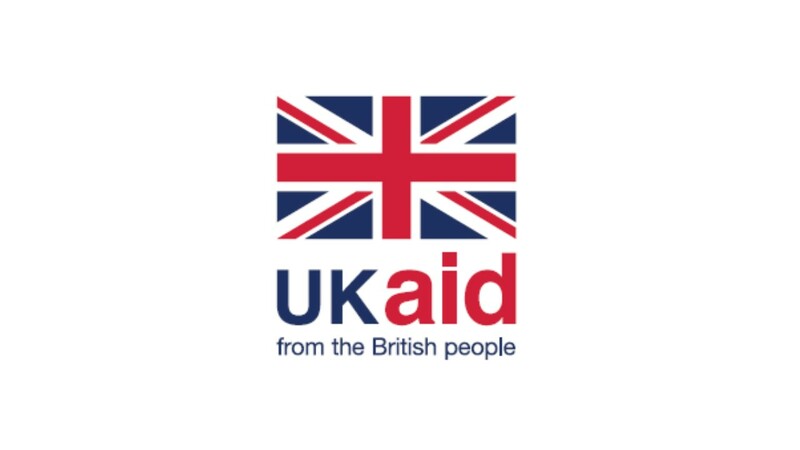 This reduces the government’s capacity to deliver on its large-scale social housing programmes. These programmes remain an urgent priority as housing is a significant social and economic issue for many Algerians. According to the real estate portal Lkeria.com, the average price to rent an apartment between 60-100m2 in Algiers is DZD60 000 (US$ 548) per month, more than three times the National Minimum Wage Guaranteed (Salaire National Minimum Garantie, SNMG) which is only DZD18 000 (US$164) per month. Worldometers (2018). Population of Algeria 2018. http://www.worldometers.info/world-population/algeria-population/ (Accessed 18 Sept 2018). World Bank – World Development Indicators Databank. http://databank.worldbank.org/data/reports.aspx?source=2&country=DZA (Accessed 25 July 2018). World Bank (2018). Algeria’s Economic Outlook 2018. https://www.worldbank.org/en/country/algeria/publication/economic-outlook-april-2018 (Accessed 25 July 2018). African Development Bank Group (2018). Algeria Economic Outlook. https://www.afdb.org/en/countries/north-africa/algeria/algeria-economic-outlook/ (Accessed 25 July 2018). Bakermckenzie.com (2017). Algeria: The 2017 Finance Law | Insight | Baker McKenzie. 1 Jan 2017. http://www.bakermckenzie.com/en/insight/publications/2017/01/the-2017-finance-law/ (Accessed 2 Aug. 2017). World Bank – World Development Indicators Databank. Oxford Business Group (2018). The Report: Algeria. https://oxfordbusinessgroup.com/algeria-2017 (Accessed 25 July 2018). Reuters (2017). “Algeria foreign reserves to stay over $100 bln this year PM.” 6 March 2017. http://af.reuters.com/article/algeriaNews/idAFL5N1GJ42S (Accessed 20 July 2017). Six State-owned banks dominate the banking system in Algeria: Banque Exterieure d’Algerie (BEA); Banque Nationale d’Algerie (BNA); Banque de l’Agriculture et du Developpement Rural (BADR); CNEP Bank; BDL Bank; and CPA Bank – which controls almost 90 percent of banking assets and 80 percent of all loans and continues to play a key role in the financing of government-prioritised projects. The government banks are interconnected with five major finance companies: Algerian Bank of Development (BAD); SOFINANCE (created in affiliation with BAD); FINALEP; SRH; and SALEM. The central bank, Bank of Algeria, also oversees 14 privately-owned banks, nine non-bank financial institutions and 23 insurance companies. Overall, the banking sector has consistently increased lending although there are concerns that fiscal consolidation may reduce banks cashflows thus reducing their intermediation capacity in future. Domestic credit to the private sector has increased rapidly over the past years, rising from 44.5 percent of GDP in 2015 to 66.8 percent of GDP in 2017. Outstanding bank loans reached DZD8 000 billion (us$73 billion) in 2017 (45 percent of GDP). Housing finance is still an underdeveloped sector, despite the liquidity of the banking sector. 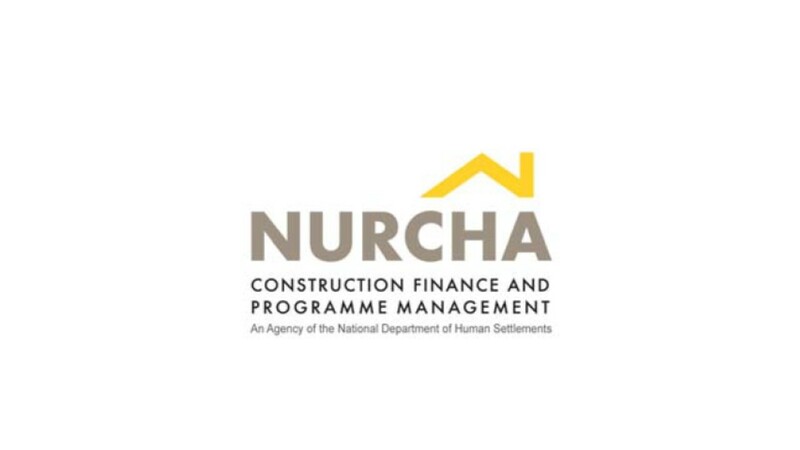 However, access to finance is increasing due to government programmes that offer subsidised mortgages, the Rural Housing Programme and the Assisted Housing Programme (LPA). 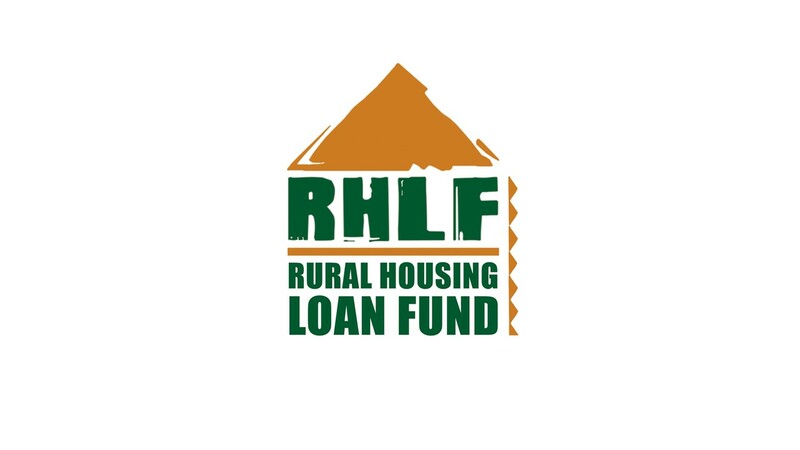 Households who build or improve their house in a rural area can benefit from a subsidised interest rate on their mortgage through the Rural Housing Programme. The LPA programme also facilitates home ownership with a subsidised loan for households who acquire a new housing unit in a multi-family complex. Euromonitor reported a 16.3 percent expansion in the number of households accessing a mortgage in 2017. Nevertheless, access to credit is difficult due to the lack of credit bureaus and registries. Commercial real estate finance in Algeria represents a larger share of total bank lending than retail housing finance. State-owned banks make up nearly all mortgage loans, more than 60 percent of which are attributable to the Caisse National d’Épargne de Prévoyance (CNEP). Housing finance products are offered at a rate of 8 percent and for terms ranging from 20 – 40 years. The maximum loan-to-value ratio for non-government programmes is capped at 70 percent of the total unit cost. The government offers up-front downpayment assistance for households qualifying for social housing programmes, amounting to a maximum of 20 percent of the value of the unit. The level of non-performing loans (NPLs) has been very high in the past, although it has decreased from 21 percent in 2009 to 11.4 percent in 2016. This figure is still higher than the 9.8 percent NPLs achieved in 2015. Until now, rather than repossessing homes, most NPLs have usually been restructured, either through swaps for T-bonds (in public sector banks) or rescheduling repayment schedules, the costs of which have been absorbed by the state. FINALEP and SALEM, are also dealing with refinancing on homes, leasing equipment to developing businesses, or re-establishing loans to start-up businesses. A mortgage refinancing facility was created in 1997, known as Société de Refinancement Hypothecaire (SRH), whose goal was to improve banking intermediation for housing finance and promote the use of secondary financial markets to facilitate access to long-term finance for mortgage loans. SRH was initially capitalised with a fund of DZD5.7 billion (US$52.3 million) held at the treasury, and DZD1.4 billion (US$ 12.5 million) of its own funds. The SRH facility was complemented by the Law n° 06-05 on the securitisation of mortgages that came into force in 2006. The objective of the legislation was to free up capital to support banks to fund housing construction, yet the expansion of secondary mortgage markets has been limited by the lack of development of primary mortgage markets and historically high rate of NPLs. In 2016, SRH announced that it was exploring a bond issuance to diversify its financial resources and reduce reliance on the Treasury for funding. The main institution providing microfinance services is Algérie Poste, which was set up as a government corporation in 2002 to provide both postal and financial services. There are no specialised housing microfinance products, but Algérie Poste offers two types of savings accounts for housing, the livret d’épargne logement (LEL) with two percent interest, and the livret d’épargne populaire (LEP) with 2.5 percent interest. 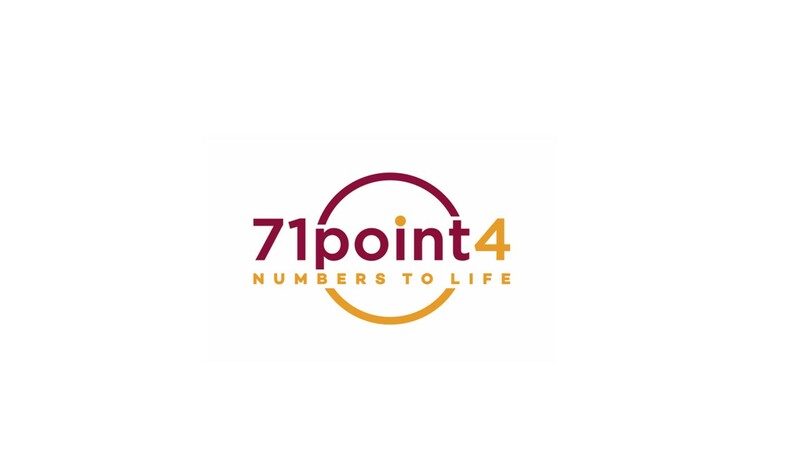 Algérie Poste acts as a service branch for 4.1 million CNEP accounts, Algeria’s largest housing finance lender. In addition to Algérie Poste, there are approximately 15 major non-governmental organisations (NGOs) working in the country with Touiza being the major NGO providing services to small enterprises and entrepreneurs since 1962. Chamberlain, Elaine (2015). Microfinance in Algeria, Tunisia and Lebanon. Thesis submitted at the University of Central Florida, Orlando, Florida. http://etd.fcla.edu/CF/CFH0004831/Chamberlain_Elaine_L_201504_BA.pdf (Accessed 30 July 2018). Pg. 23. Bank of Algeria (2017). Quarterly Statistical Bulletin, n° 37, March 2017. http://www.bank-of-algeria.dz/pdf/Bulletin_37e.pdf (Accessed 18 Sept 2018). The World Bank forecasts that 10 percent of the total population might fall back under the poverty threshold in 2020 due to growth of unemployment rate (10.5 percent in September 2016, reaching 12 percent in 2018), slower GDP growth and higher inflation. Therefore housing affordability is a critical issue and the cause of substantial social unrest. While the supply of housing for high income and expatriate buyers appears to be sufficient, there is a distinct undersupply of affordable housing for the bottom 60 percent of the population. It is therefore extremely difficult for low and middle income households to access housing on the private market. In 2017, the average price per square meter of an apartment in Algiers was DZD220 000 (US$2 008), a 20 percent increase compared to 2016. The price per square meter of an apartment in secondary cities such as Boumerdès, Blida, Tipaza, Béjaïa and Oran was DZD130 000 (US$1 187). In 2015, the ONS reported the average annual income was DZD 39 200 (US$358). Despite the 4 percent increase from 2014, the average earnings of private sector workers (DZD32 100; US$ 293) are below that of public sector employees (DZD 54 700; US$500). While Algeria has a relatively low rate of inequality with a Gini coefficient of 36.06 (2010), the price of housing remains beyond the means of most households. According to a 2017 study by the real estate portal Lkeria.com, average rents have decreased between 2016 to 2017 in at least 10 provinces, including in: Boumerdas which has seen reductions by 20 percent—from DZD39 500 (US$335) in 2016 to DZD32 000 DZD (US$271); Tizi Ouzou which has seen reductions by 20 percent from DZD35 000 (US$297) in 2016 to DZD27 600 (US$234) in 2017; Tipaza which has seen 16 percent reductions; Skikda 16 percent reductions; Sidi Bel Abbas 8 percent reductions; and Bejaia 8 percent reductions. On the other hand, rental prices in the bigger cities such as Algiers and Oran remained stable. The reduction in rental is mainly attributed to public housing programmes delivered during this period, but is also due to various relocation operations. Housing policy is focussed on building a large amount of very low-cost rental and subsidised housing units, yet government supply is not able to respond to demand. Population growth at 1.9 percent per annum, and an urbanisation rate of 2.7 percent per annum in 2015, are fuelling new demand for housing units in cities, with 70 percent of the total population living in cities. Waiting lists are long and the downpayment on homes can also be prohibitive. For households to qualify for the middle income housing programme (Agence de l’Amélioration et du Développement du Logement (AADL) lease-to-own programme), a personal contribution of DZD700 000—DZD1 million (US$6390 – US$9 128) is required up front. Liberté Algérie (2011). “L’habitat précaire résorbé et la crise du logement allégée d’ici 2014 .” 21 June 2011. http://www.liberte-algerie.com/actualite/les-effets-dannonces-des-pouvoirs-publics-93416/print/1, (Accessed 8 August 2017). Euromonitor estimates that the mortgage market will grow by approximately 16 percent in 2017, making it the second fastest growing mortgage market in Africa. This however does not address the shortages in the housing market. There are approximately 500 000 precarious dwellings and at least two million units are in poor condition, having been constructed prior to independence in 1962. Annual supply is estimated at 80 000 dwellings, while annual demand is estimated at 300 000 units. The state is the major supplier of housing with a number of 165 000 housing per year, 2.2 million housing over about 14 years. However, with less means at their disposal, households also account as another main house provider. In 2014, the Ministry of Housing and Settlements (MoHS) announced a target of 1.6 million units from 2015 – 2019 with an estimated cost of DZD6 123 billion (US$56 billion) for social housing, part of the government’s five-year investment plan (2015-2019). By 2017, only 693 000 units of the 1.2 million units planned were actually built. Lengthy administrative processes and disputes over some project sites and mismanagement of funds contributed to the shortfall, with the number of completions per annum falling below 100 000 units. Moreover, serious deficiencies have been reported about the units under construction such as the lack of technical inspection, delivery delays, unfulfilled commitments, and manufacturing defects. There have been initiatives to ‘clean up’ informal settlements with the slum eradication project Résorption de l’Habitat Précaire, a programme that included slum upgrading, redevelopment or resettlement. Started in 1999, with a World Bank loan of US$150 million, this programme initially identified 65 target sites, accounting for 30 390 inadequate units, housing 172 000 residents. In July 2014, this programme gained a further commitment of US$90 million from the new government for the improvement of inadequate units. As a result, between June 2014 and May 2016, 39 000 families were relocated to new units, with 9 000 households participating in government programmes to build their new homes, and the rest being allocated public rental housing. The Algiers province secured another 180 hectares to allocate to new affordable housing projects of all types, including lease-to-own, public rental and subsidised for-sale units. In September 2017, the government has reactivated the Promotional Housing Helped (LPA) programme under the scrutiny of the Minister of Housing Abdelwahid Temmar. The Promotional Housing Helped (LPA) is tailored for middle income households. The project involves the construction of new housing by a private developer according to specific techniques; and financial terms both from the client and the State. The building of 12 400 housing units in the capital began in November 2017 under the rent-to-own housing project monitored by l’Agence d’Amélioration et de Développement du Logement (AADL). The sites are respectively in Baba Hassen (construction of 2 400 units and 3 000 units) and in Douera (construction of 3 746 units and 3 254 units). The first project will be delivered by Atlas, a Turkish developer, while the remainder have been allotted to CSCEC, a Chinese developer within a timeframe of 30 months. Grim, Nordine (2017). « Construction et accès au logement: La fin de l’état providence . » 13 May 2017. Algérie Eco. https://www.algerie-eco.com/2017/05/13/construction-acces-logement-fin-de-letat-providence/ (Accessed 30 July 2018). Ministry of Housing and Urban Planning (2016). “Programme LSP: 11 promoteurs immobiliers sur la liste noire.” April 2016. http://www.mhuv.gov.dz/Pages/DetailActualite.aspx?a=460 (Accessed 19 Sept 2018). World Bank (2018). Doing Business: Algeria. http://www.doingbusiness.org/data/exploreeconomies/algeria#getting-credit (Accessed 19 Sept 2018). Lkeria (2018). “LPA Algérie le Nouveau Prix 2018.”2 April 2018. https://www.lkeria.com/Logement-Promotionnel-Aide-LPA-LSP.php (Accessed 30 July 2018). Ministère de l’Habitat, de l’Urbanisme et de la Ville (2017). “Les travaux de réalisation de 12.400 logements dans la capitale ont été lancés mardi dans le cadre du programme de logements de la formule de location-vente supervisé par l’Agence d’amélioration et de développement du logement (AADL).” 7 November 2017. http://www.mhuv.gov.dz/Pages/DetailActualite.aspx?a=498 (Accessed 30 July 2018). Limited land availability has severely restricted the growth of the formal real estate market. The state is the primary owner of land and only very limited amounts are made accessible to private individuals or developers. Homeownership is high, due to the cultural importance of owning a home, yet low supply has pushed up prices beyond the affordability threshold of many households. As a result, the rental market is growing. There is a deeds registry, although the land registration system is cumbersome and unclear. Algeria has continued to maintain a low ranking of 163th in the 2018 World Bank Doing Business report for registering property, with 10 procedures taking an average of 55 days, and costing 7.1 percent of the property value. In 2016, Algeria made dealing with construction permits easier by eliminating the legal requirement to provide a certified copy of property title when applying for a building permit. In 2017, Algeria went a step further and imposed deadlines for construction permit applications, considerably reducing processing times. Algeria moved up 42 positions in the construction permits ranking and is now ranked 77th out of 190. The process includes 17 procedures and takes an estimated 130 days. A 5 percent transfer fee is charged on the transaction of immovable property, plus a 1 percent registration fee. The government has attempted to increase the supply of land by offering a tax rebate if the land is sold for housing. However, this measure has primarily benefitted high income groups, and is regressive in that the higher the purchase price, the larger the tax rebate. Most households rely on public housing programmes. Other strategies of the urban poor include self-building on informally-squatted government land and buying units in the informal market. Due to the enormous price gaps between the private property market and affordable housing developed by the state, many of the social housing units are quickly released into a thriving black market, where title transfer is not formally registered. The World Bank. (2017). Doing Business 2017: Equal Opportunity for All. http://www.doingbusiness.org/~/media/WBG/DoingBusiness/Documents/Annual-Reports/English/DB17-Report.pdf, (Accessed 18 July 2017). In October 2017, the government stressed that housing and infrastructure development are key priorities, and the 2018 budget will see an 8 percent increase from 2017 in funding allocated to social transfers, including social housing. In the Finance Law of 2018, DZD384.9 billion was allocated to housing. The government has five types of housing programmes, each targeted at different groups. The demand for all these programmes far exceeds the supply. Allocation procedures have come under scrutiny for mismanagement. Rental programme <1.5 SNMG < 24 000 < 220 Public Rental Housing: For households earning less than 1.5 times the minimum wage, in which construction is entirely publically financed on government land and rent is extremely low, at approximately DZD1 095 – DZD2 300 (US$10–US$21) per month. To make the allocation more transparent, the government has created a scoring system for applicants. Home Ownership programs (Aide à l’accession à la propriété) 1 – 6 SNMG 18 000 – 108 000 165 – 9850 i) The Rural Housing Programme: A household receives a subsidy of DZD 700 000 – DZD 1 million (US$6 390 – US$9 128) for home improvement or new home construction, which is disbursed as progress is made. 1.5 – 6 SNMG 24 000 – 108 000 220 – 985 ii) AADL (Agence de l’Amélioration et du Développement du Logement): Introduced in 2001, AADL operates a lease-to-own programme for households with little downpayment capacity. Small up-front payments are required for entry, and then the lease is guaranteed 100 percent by the state on a zero interest basis. 1.5 – 6 SNMG 24 000 – 108 000 220 – 985 LPA (Logement Promotionnel Aidé): The Assisted Housing Programme: Started in 2010, the LPA aims to facilitate home ownership for households earning up to six times the minimum wage. There is an up-front grant of either DZD 395 000 (US$ 3 600) or DZD 702 000 (US$ 6 400) to assist with downpayments and subsidised loan finance with interest rates of 1 to 3 percent. Civil Servants NA NA Government Employees are also offered low-cost finance, at 1 percent for a house up to approximately DZD8.1 million (US$80 000) for senior staff, and DZD5.5 million (US$ 50 000) for others. Funding for these programs has been problematic in 2017. State-owned banks promised DZD1 200 billion (US$11 billion) in 2013 to finance the government’s housing programmes but have only disbursed DZD150 billion (US$1.38 billion) for the completion of two housing projects: 100 000 units in 2013 and 80 000 units in 2015. Additionally, between January and May 2017, foreign companies halted construction works for LPP, social housing, the AADL, and the rural programme due to DZD120 billion (US$1.1 billion) in unpaid receivables. This resulted in the delivery of 164 000 housing units being disrupted. The state-owned banks, CPA and CNEP, refused to pay the Chinese and Turkish companies responsible for the construction due to liquidity constraints, and in May 2017, the CNL had to disburse DZD134 billion (US$1.22 billion) to pay off arrears. However, a reorganisation of the sector is underway. The government is exploring the possibility of creating a Housing Bank (Banque de l’Habitat) with joint administration under the CNEP and CNL. This new organisation would see banks as mortgage providers, and the CNL providing construction finance through the Banque de l’Habitat. National minimum wage guaranteed (SalaireNational Minimum Garanti). The scoring system gives preference to families based on their income, current living situation, and familial situation, and improves transparency. Specific issues to resolve are the verification of applicants’ eligibility. As waitlists are managed locally, there can be duplication of applications across regions, people may already own property, or move to precarious housing in shantytowns simply to qualify for government assistance. In addition, there are challenges around fraudulent identification documents and false accommodation certificates. Agence Ecofin (2013). “Algérie : les banques publiques vont financer la construction de 300 000 logements pour 12 milliards €.” 14 May 2013. http://www.agenceecofin.com/investissement/1405-10882-algerie-les-banques-publiques-vont-financer-la-construction-de-300-000-logements-pour-12-milliards (Accessed 19 July 2017). Ministry of Housing and Urban Planning Press Release, May 2017. Le Temps (2017). “Règlement des impayés des entreprises du bâtiment: Lorsque Tebboune se dit impuissant.” 18 May 2017. https://www.letempsdz.com/index.php/132-actualite/190286-r%C3%A8glement-des-impay%C3%A9s-des-entreprises-du-batiment-lorsque-tebboune-se-dit-impuissant (Accessed 8 August 2017). TSA (2017). “Tebboune, le CPA et la « Banque de l’habitat”. 4 July 2017. https://www.tsa-algerie.com/tebboune-le-cpa-et-la-banque-de-lhabitat/ (Accessed 20 July 2017). The outlook for growth in the Algerian housing finance sector remains largely positive, given the development of a stronger legal framework for mortgages and a growing number of banks who are offering varied housing finance options. Although the improved fiscal and external balances and growth prospects appeared to have paved the way for the uninterrupted rollout of housing projects, the implementation of large scale projects is now uncertain as the government failed to pay some of the project implementers on time due to budgetary constraints and low reserves. There are positive developments in the housing sector which point to key opportunities in the future. The Groupe Industriel des Ciments d’Algérie (GICA) group is planning to increase its annual production to 20 million tons of cement by 2019-2020 with the expansion of three factories and the creation of two new ones in Sigus and Béchar. Furthermore, the government continues to place great importance on rental housing by shifting housing delivery emphasis from the provision of public housing towards the facilitation of privately-developed affordable housing. The government also intends to facilitate private development of homeownership programmes financed through long-term mortgage loans. Public and private partnerships are expected to compensate for decreasing budgets for the housing sector. Ministry of Industry Press Release (2017). “ Ciment : baisse sensible des prix grâce aux mesures prises par Monsieur le Ministre de l’Industrie et des Mines.” 12 July 2017. http://www.mdipi.gov.dz/?Ciment-baisse-sensible-des-prix (Accessed 19 Sept 2018). Algerian Government (2014). 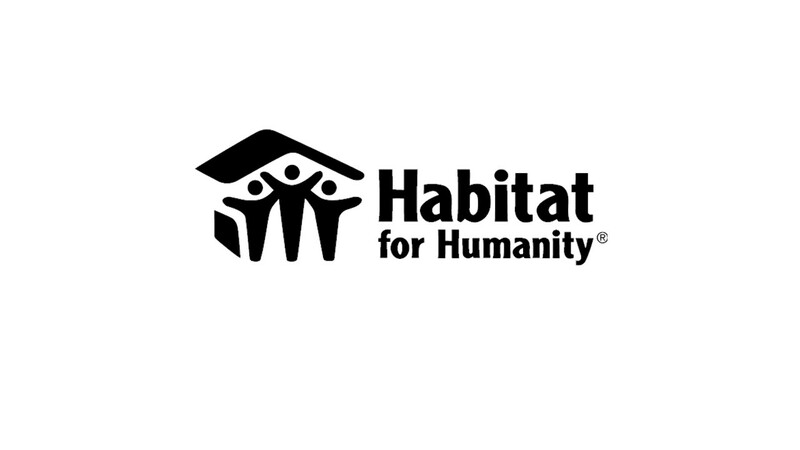 National Report on Housing for Habitat III. http://habitat3.org/wp-content/uploads/National-Report-Africa-Algeria-Final-in-English.pdf (Accessed 19 Sept 2018). Belkalem, M., Laghouati, S., Ghorbal, Y., & Larbi, A. (2006). The 2006 Global Securitisation Guide: Algeria, Morocco and Tunisia. Bellal, T. (2009). Housing Supply in Algeria: Affordability Matters Rather Than Availability. Algiers: University of Setif. Euromonitor International (2014). World Consumer Income and Expenditure Patterns: 14th Edition. Hassler, O. (2011). Housing and Real Estate Finance in Middle East and North African Countries. World Bank. http://siteresources.worldbank.org/INTMNAREGTOPPOVRED/Resources/MENAFlagshipHousingFinance.pdf (Accessed 18 Sept 2018). International Monetary Fund (2014). Algeria: Financial System Stability Assessment, IMF Country Report No. 14/161, https://www.imf.org/external/pubs/ft/scr/2014/cr14161.pdf (Accessed 19 Sept 2018). IMF (2016). World Economic Outlook. http://www.imf.org/en/publications/weo (Accessed 17 July 2017). IMF (2017). Algeria, Selected Issues, IMF Country Report No. 17/142, file:///Z:/Clients/079%20CAHF/079_4%20Country%20Profiles/04_Project%20Work/Algeria/00_Old/cr17142.pdf (Accessed 20 July 2017). Lohoues, H. and Benbahmed, T. (2017). Algeria Profile 2017, African Economic Outlook 2017, Entrepreneurship and industrialisation. Oxford Business Group (2014). The Report: Algeria 2014. United Nations Human Rights Council (2012). Report of the Special Rapporteur on Adequate Housing. The World Bank (2017). Doing Business 2017, Equal Opportunity for All. http://www.doingbusiness.org/~/media/WBG/DoingBusiness/Documents/Annual-Reports/English/DB17-Report.pdf (Accessed 18 July 2017). World Bank (2017). World Development Indicators. http://databank.worldbank.org/data/reports.aspx?source=2&country=DZA, (Accessed 17 July 2017).